The most powerful cellular booster you can get for home or small office use gives you an amazing 70dB of boost. That means the signal coming out of the booster is, no kidding, 10,000,000 times more powerful than the signal coming in. That’s really impressive. The most powerful cell booster for RVs measures out at 50dB. That’s still 100,000 times more power than you would have gotten before but hey, that’s nowhere near what you can get at home. That doesn’t seem fair. Most people use their phones in their cars. Yet, somehow you can’t get the most powerful booster in your car. 50dB is the maximum amount of boost for a large vehicle. The rules are clear and they come straight from the government. Smaller vehicles can be limited to 45dB of boost. Those are the FCC’s rules. If you want to sell a cellular signal booster in the US, you have to follow those rules. It’s as simple as that. …and the rules are there for a reason. It may not seem like the rules are fair. However they make sense when you realize that even the biggest RV is smaller than the smallest apartment. Of course I’m not talking about Manhattan or other urban paradises where you pay $2,000 a month for a space that barely fits a bed. I’m talking about the rest of the country. The purpose of a cell booster is to boost signal in the area where you use it. Because all cell signals are digital, a signal is either good or it isn’t. If you get good cell reception at a particular signal level, having twice the signal isn’t going to give you better reception. So the only reason you want a stronger booster is to cover a larger area. In other words, a 70dB booster isn’t going to help you any more in a car than a 50dB booster. On the other hand a 70dB booster could interfere with another 70dB booster in a car in the next lane and then you would have problems. But doesn’t a bigger booster help you get more distant signals? This is a common misconception. All cell signals are digital. If they can be received, they are received. However if they can’t, then you have dropped calls and poor call quality when the signal is right on the edge. A cellular signal booster, like all amplifiers, helps compensate for the distance the signal travels after you receive it. A 70dB signal booster pumps out a stronger signal than a 50dB one so it can travel a further distance. 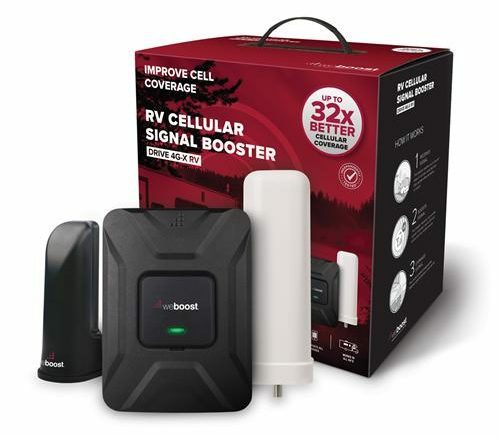 If you’re looking for a cellular signal booster for your car, truck, RV, home, or office, you can find all the best brands at the best prices by shopping at Solid Signal. If you want a truly personal touch, give us a call at 877.312.4547 and you can talk to an expert in cellular technology who can help you find just the right product for your need. As they say on TV, the consultation is free!